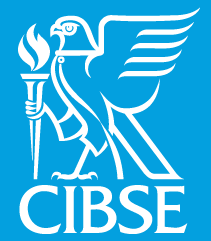 The 8th CIBSE Technical Symposium again demonstrated the enormous breadth of expertise within building services, as speakers presented papers on everything from underground salad farms to capturing heat from the London Tube network and energy efficient supermarket delicatessen cabinets. Delegates gained insight into the latest guidance, legislation and rating schemes to affect their profession, including Design for Performance and Breeam 2018 (see panel ‘Breeam 2018 targets actual performance’). 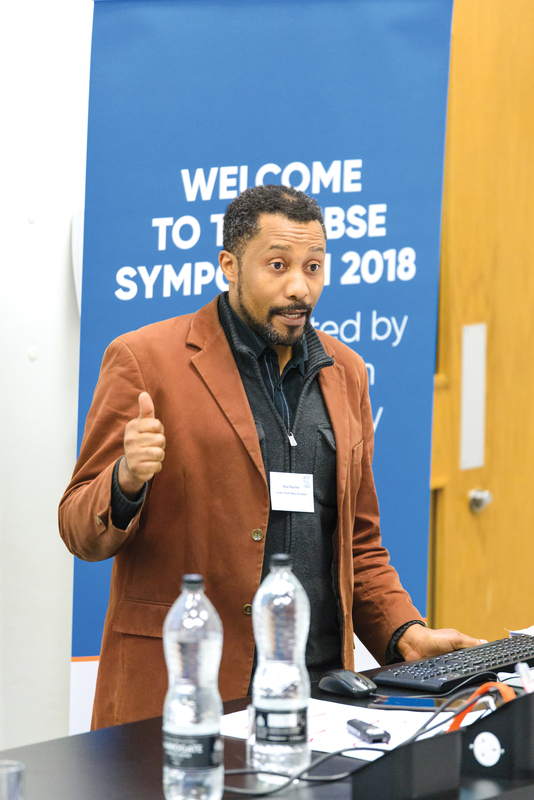 A record 250 people packed the event at London South Bank University (LSBU), which was hosting a CIBSE symposium for the first time. 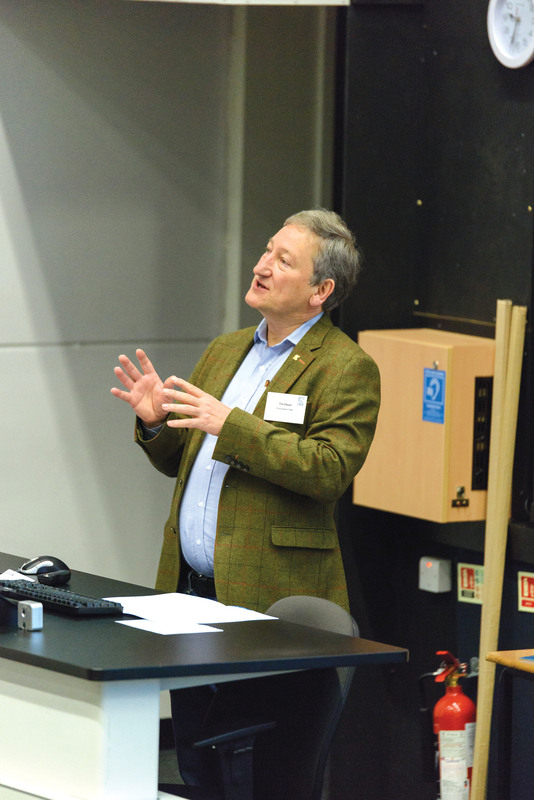 The delegates were welcomed by LSBU’s acting director of research and enterprise Andy Ford, who spoke about when the college was established – as the National College for Heating, Ventilating, Refrigeration and Fan Engineering – to help retrain military personnel after World War II. The venue was familiar territory for many, including opening speaker Tony Day and Tim Dwyer, who spent numerous years teaching at the university, and architect Julie Futcher. 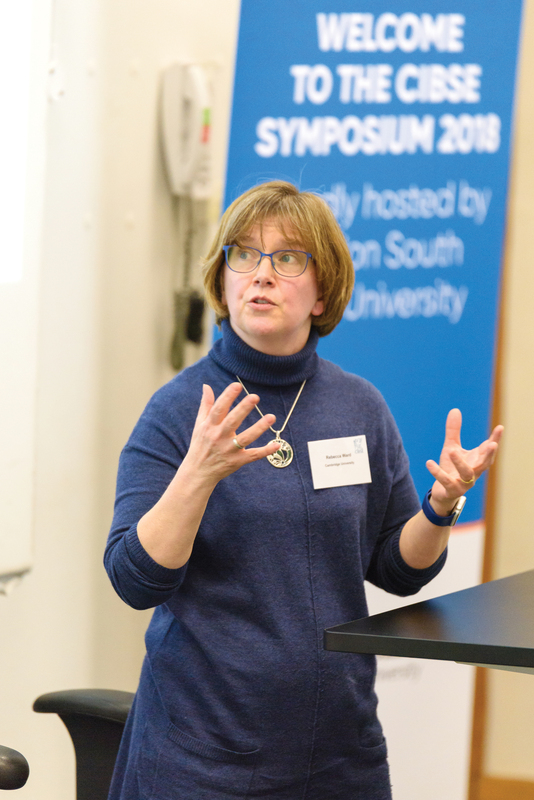 The symposium was set up to encourage academics and practitioners to share expertise and experience, so it was appropriate that Day started the presentations by urging industry to work more closely with universities. Often, he said, there was risk associated with innovation and it had to be shared between the supply chain if radical innovation was to happen. ‘Industry should be involved with a research project from the outset, and should be given assurances that they will own the intellectual property,’ said Day, adding that there was no point in universities protecting patents if they were left to languish and go out of date. In the following session, Verco’s technical director Robert Cohen introduced the Design for Performance (DfP) rating scheme, which has cross-industry support. It is based on the Nabers rating scheme in Australia, which makes disclosure of energy performance in offices mandatory. Cohen said the findings from DfP pilot projects in the UK would be revealed in June and the Design for Performance rating scheme would be up and running next year, once suitable benchmarks were in place. This year’s Technical Symposium was notable for papers interrogating large industry datasets to uncover hidden truths. 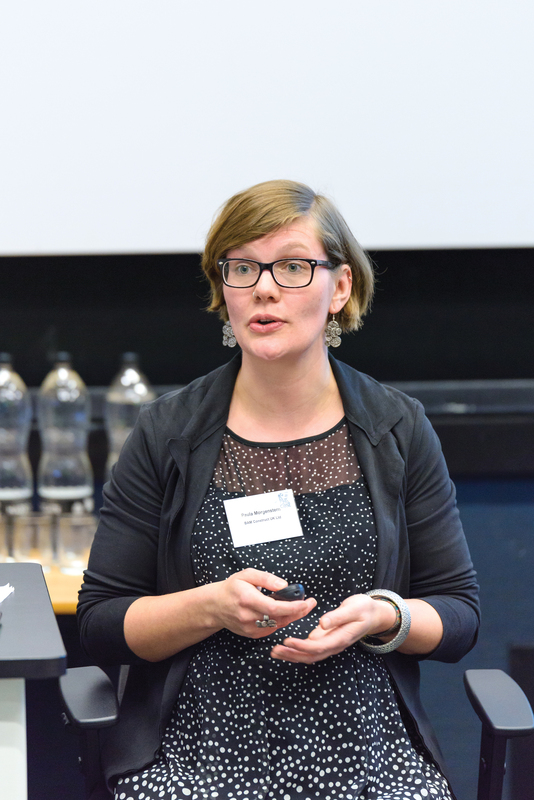 These included an examination – by Jenny Love, research associate at the UCL Energy Institute – of pressure-testing data on homes held by the Air Tightness Testing & Measurement Association (ATTMA). Love found that measured airtightness was disproportionately concentrated in sharp peaks at design targets on the first test per dwelling. This, Love said, meant leaky homes were being sealed on site during testing. ‘This raises questions about what kind of sealing is being applied and whether it will last,’ she said. 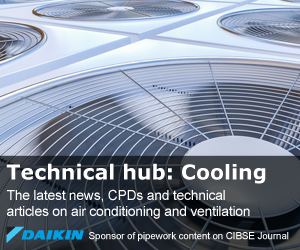 ‘They’re probably being done on the fly, and are not focused on the primary air barrier, which involves considerable work taking apart.’ Love added that regulations differentiate between secondary sealing – which is allowed – and temporary sealing, which is not. Another eye-opening presentation, by Esfand Burman, UCL lecturer in complex built environment systems, looked at the energy performance and indoor environmental quality (IEQ) of eight offices, schools, hospitals and apartments. Burman said that, while buildings with Soft Landings and energy performance contracting were doing well in terms of energy performance, they did not necessarily have good IEQ. An integrated view of energy and IEQ is often missing, he added, and that was usually a trade-off between low CO2 with high ventilation rates, and high levels of pollutants NO2 and PM2.5. Burman concluded that there should be control strategies – such as sensors and filters – to ensure pollutants from outside do not compromise the health of occupants during natural ventilation. There is currently a debate about whether consultants should be designing energy systems using gas or electricity. So it was fascinating to hear Aecom associate director Michael Lim’s case study, looking at gas versus electric heating systems in relation to capital costs and life-cycle operational cost, fuel consumption and CO2 emissions on a student accommodation scheme. Lim’s study demonstrated that combining continuous flow hot-water heating with a range of gas and electricity space heating results in a more efficient solution in terms of cost, fuel and CO2. But he said the operational CO2e emissions over 20 years showed dramatic differences between gas- and electric-based heat sources, with electric heating shown to be lower carbon over the medium to long term than gas solutions. However, predicted changes in CO2e intensity would require continual investment and the uptake of renewable technologies over the longer term to deliver projected Grid decarbonisation. The programme showcased an excellent range of interesting, relevant and diverse topics. My highlights included a talk from Tony Day, who highlighted the need for greater stakeholder alignment and shared ownership, to reduce risk and facilitate radical innovation that disrupts the current existing system – an essential move forward to achieve a built environment that can be sustained. Building on this, Edward Murphy echoed the common rhetoric of the symposium – we must design well and finish well. Customers expect industry to drive forward the value and quality of buildings, and this is why designing a building holistically, considering all aspects – including the intended use of a building by occupants – is essential to delivering buildings in the safest and most efficient ways. One of the last sessions was delivered by Mike Page, who offered a futuristic look into how the domestic housing stock could look based on the Greentown model house simulation. This idea fosters low-energy living aiming to tackle the growing housing crisis in the UK, as well as a more radical approach to achieving carbon reduction targets. It became apparent that events such as the technical symposium are catalytic in breaking the existing system to shape engineering and building services for the future and to forge better relationships and communication between all parties involved in designing the built environment. Gaining this insight reinforced that it is an exciting time to be in the building services industry, as it is at the forefront of creating changes necessary to achieve future sustainable solutions. 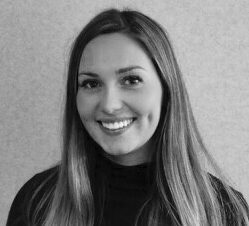 Rebecca Ward, research associate at the University of Cambridge’s Energy Efficient Cities Initiative, investigated the impact of plants on energy demand and air quality in her paper. She used data gathered from Growing Underground – a hydroponics farm, situated 33m below ground in Clapham, that grows micro-greens for hotels, restaurants and supermarkets. Although the temperatures forecast using the model were in reasonable agreement with the mean temperature monitored at the farm, Ward said the predicted moisture content of the air was slightly higher than observed, while CO2 concentration levels were much higher than the monitored values. 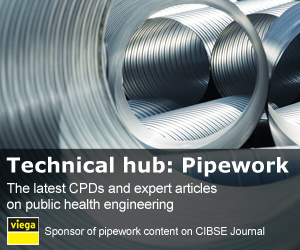 (Read more from Ward in next month’s CIBSE Journal). 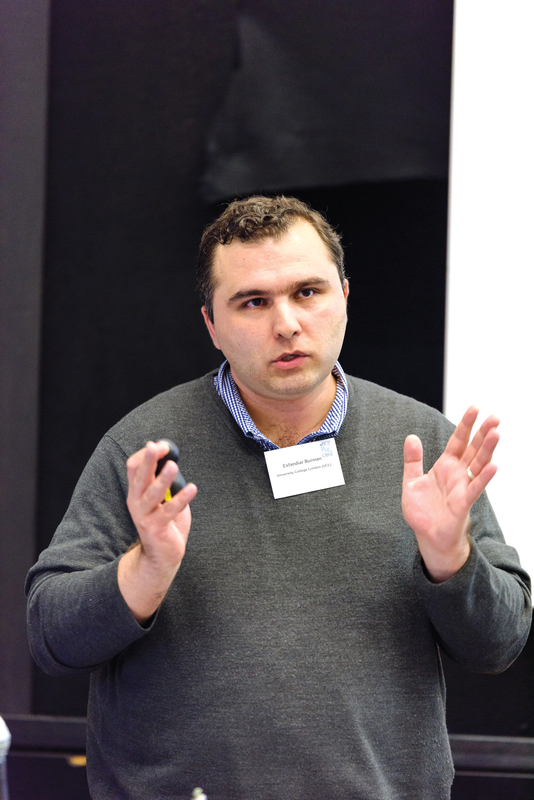 Still in the food sector, LSBU senior lecturer Alex Paurine found that supermarkets were responsible for around 3% of the total electrical energy used in the UK, with 50% of this consumed by delicatessen cabinets. 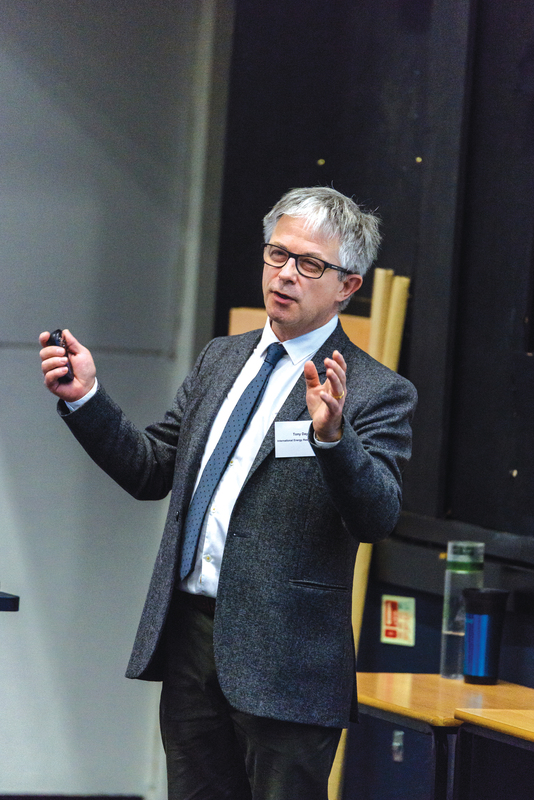 In his research for Tesco, Paurine found that low-emissivity glass – with the reflective surface facing inwards – reduced both the temperature of food and energy consumption significantly. BRE principal consultant Christine Pout told delegates at the Technical Symposium that the 2018 update to the Breeam environmental assessment tool will move away from compliance-based assessments and towards recognising actual performance. 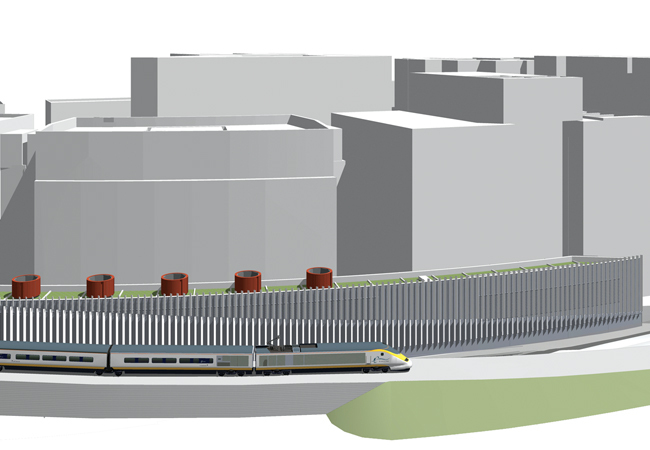 She said this would involve carrying out more accurate modelling of energy consumption, measuring the actual performance, and comparing it against the targets. Breeam 2018 has reduced the credits available for compliance modelling and, instead, added credits for carrying out detailed energy modelling and for post-occupancy assessments, Pout told the audience. The Breeam methodology is based on existing standards, including the national calculation methodology and CIBSE’s TM54, and draws on the Australian ratings initiative Nabers. ‘We are allowing freedom to align performance targets with existing benchmarks,’ said Pout, adding that the target will need to be adjusted based on the actual weather. The post-occupancy monitoring element will aim to incentivise energy modellers to reflect actual energy use, said Pout. ‘The key is to ensure the metering strategy and modelling results are comprehensive and detailed enough, so they identify the discrepancies between the model and the actual performance. The post-occupancy assessment will require the collection and analysis of data for one year, within two years of the first occupants moving in, or when 80% occupancy has been achieved. Several presentations looked at how the construction process might be changed to improve performance outcomes. Dr Terry Keech, partner at CalfordSeadon, examined the issues around commissioning and installation on low carbon homes. He has surveyed and interviewed installers, and found that onsite training and monitoring could greatly increase housing quality. He said that the fragmented nature of the housebuilding industry meant site knowledge was quickly lost when subcontractors left for new jobs. In his presentation, Ollio founder Edward Murphy said building users feel design is being done ‘to them’ – not ‘with them’ or ‘for them’ – which is why we cannot reach the ‘performance sweet spot’. The solution, he added, is to involve the client and users in more immersive ways throughout the project, instead of gradually diluting and squeezing out what they want as the project moves through the stages. Murphy said the Agile for Buildings (A4B) methodology chooses people over processes, customer collaboration over contract negotiation, and response to change over following a plan. This approach should start with a ‘pre-occupancy evaluation’ to analyse problems at the beginning, not at the end. User input should be collected – with highest-value and lowest-cost options taking precedence – before a prototype is created in a medium, such as BIM or virtual reality (VR), with which the client can interact. Expert lighters were well represented at the Technical Symposium, where Dr Kevin Kelly and Antonello Durante, of the Dublin Institute of Technology, proposed a new lighting design method that applies mean room surface existence (MRSE) as a metric. Kelly said research had shown that MRSE – the quantity of reflected light within a space – better relates to the user’s perceived sensation of brightness, and can be easily measured using high dynamic range (HDR) imaging. Currently, lighting designers direct light downwards, using ceiling lights, he added. If MRSE is used as the metric for brightness, however, light would need to be directed onto the highest reflectance surfaces in the room – often the ceiling. ‘The most effective way of lighting a room is to throw light on the most reflective surface, not direct it from above,’ Kelly said. Since the discovery that intrinsically photosensitive retinal ganglion cells (ipRGC) influence the body’s circadian rhythms, there has been a desire to quantify this effect for lighting designers, said Gordon Lowry, associate professor at LSBU. The effect of lighting on building occupants’ circadian rhythms has implications for their health and wellbeing, as well as for workplace productivity and absenteeism. However, there is no universal way to account for how different lighting choices might determine these effects. A number of papers at the Technical Symposium remarked on the effectiveness of energy-performance contracting in improving build quality. As part of an energy performance contract, Imtech energy manager Tony Cookson looked at the energy-saving technologies installed at 12 North West Ambulance Service stations. Before assessing the energy-saving measures, historic consumption data was gathered to determine the baseline for each site and identify uncertainties or anomalies. Cookson said they first addressed ways to reduce demand for energy – for example, with insulation or by improving controls – before looking at more energy-efficient equipment, such as high-efficiency boilers and LEDs. The final step was considering renewable technologies. After the cost and payback period was identified for each measure, Imtech discerned the most effective set. ‘It’s important to adopt a range of energy-saving measures across electrical and gas technologies, to ensure a lower-risk profile should one technology fail to deliver the required savings,’ said Cookson. Although the micro combined heat and power (CHP) system and electronic thermostatic radiator valves (TRVs) didn’t produce the expected savings, measures such as LED lighting, free cooling and the solar PV ensured a 28% annual gas reduction, 41% electricity reduction, and £179,000 of annual savings, with a payback of 6.5 years. CO2 was also cut by 6,000 tonnes. 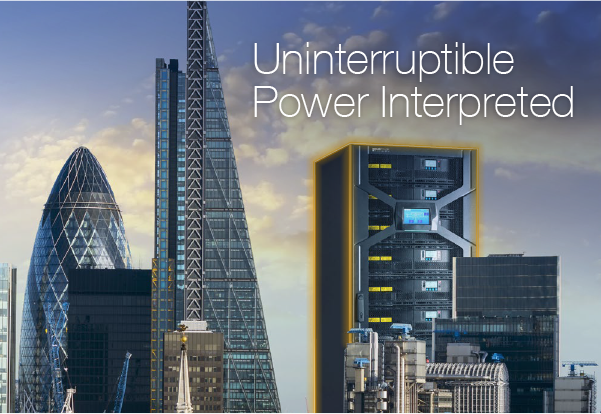 It is impossible, in these few pages, to adequately convey the depth of excellent research at the 2018 Technical Symposium, so the CIBSE Journal will present the best papers in more detail over the next 12 months. 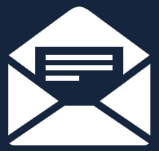 In the meantime, catch up on the slide presentations here. 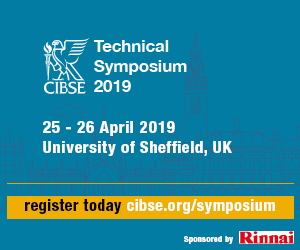 One of the privileges of chairing the CIBSE Technical Symposium is that I am able to see the development of the abstracted thoughts of contributors through to the final posters, papers and presentations. A downside of being a hands-on chair is that I am rarely able to concentrate on many of the 70-plus presenters as they share and debate their ideas with delegates. However, there were some sessions where I was so transfixed by the discourse that, for a few minutes at least, I neglected my formal duties and reverted to being an absorbed delegate. 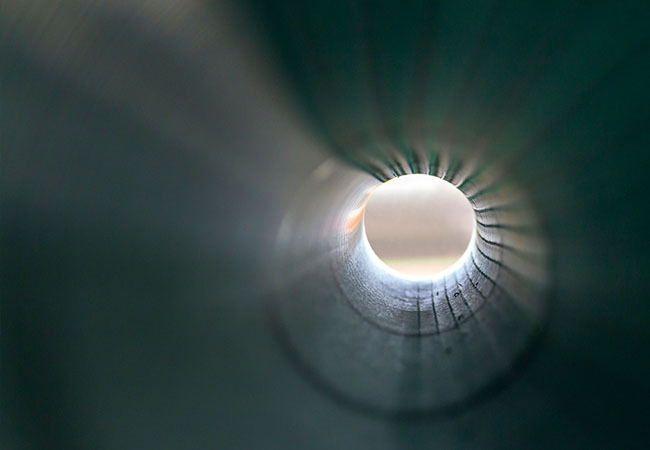 If one has even the slightest interest in a particular topic or sub-discipline, then there is little more captivating than the spectacle of an expert who has inhabited their specialist realm for months – if not years – bursting forth. The speaker’s ability to entertain, inform and challenge are skills that entwine and offer an essential triumvirate that, from my fragmentary view of the presentations, are attributes that do not necessarily relate to age, life experience, gender, physique or, indeed, subject matter or length of delivery. We were fortunate in attracting numerous skilled presenters, one of whom was recognised with the honour of being voted by delegates as having provided the most effective delivery of material – congratulations to Mike Page, of the University of Hertfordshire. 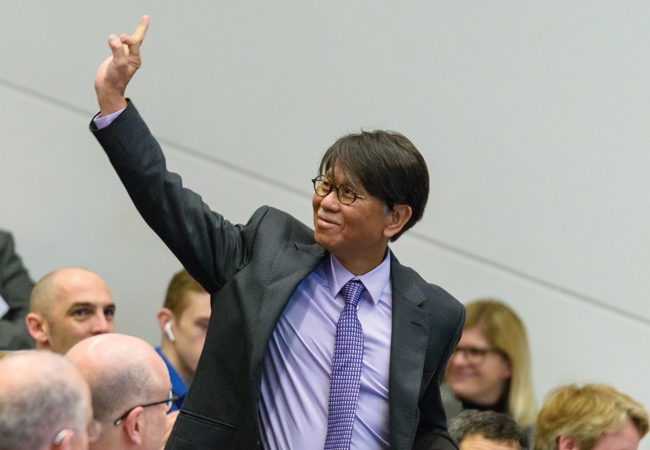 But the joy was that the CIBSE Technical Symposium 2018 offered a platform for numerous, extraordinarily effective and knowledgeable presenters, who have now inspired more than 250 delegates to explore, question, research, develop, apply and communicate with others – so that we can further stretch the envelope to deliver sustainable future environments.